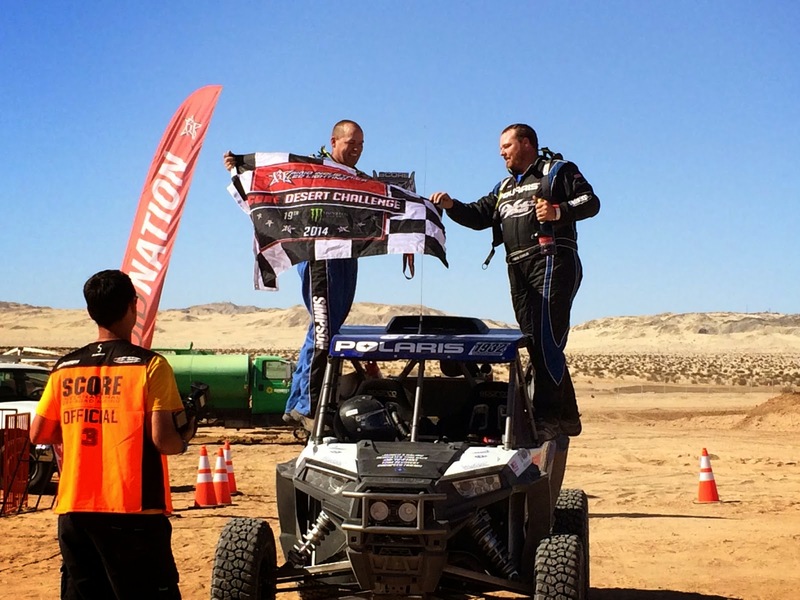 Minneapolis, Oct. 3, 2014-The Rigid Industries SCORE Desert Challenge is a two-day, semi-short course format held at Coyne Powersports Complex near Imperial, Calif. The classes were divided into groups and each group raced in two heats with the times being combined to determine the winners. Jagged X’s Brandon Schueler would fill in for Matt Parks in the No. 1932 RZR and start in fifth place for the first race. Schueler would work his way towards the front, chasing Polaris Racer Johnny Angal for a few laps, and finally take the lead to the flag. Angal would finish second in his UTV Inc. RZR. On Sunday, the second race would see Schueler and Angal start on the front row. Schueler was able to pull the hole shot and take it pole-to-pole for the win. Angal would take second overall by only 15 seconds. On the ATV side, Team UXC Racing would take their Scrambler XP 1000 to a second-place finish to move them into first in points with the Baja 1000 remaining. The team is in full prep and focused to bring home the first-ever championship for the Scrambler. 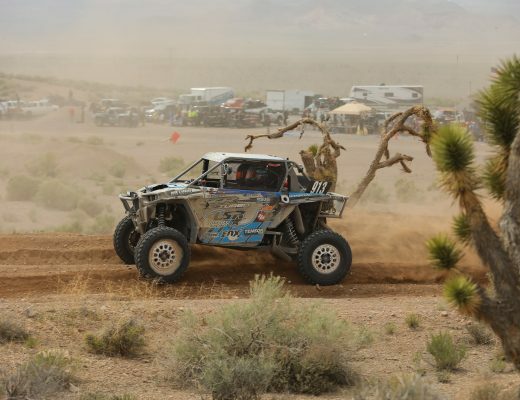 The next race for the Polaris Factory Racing Desert Racers is Best in the Desert Blue Water Desert Challenge, October 10-12.